Mrs. Miner's Kindergarten Monkey Business: Sequence of Events- Kindergarten Style! Freebie Included! Sequence of Events- Kindergarten Style! Freebie Included! 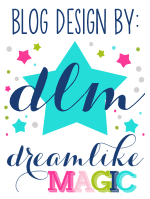 I'm so excited to be a guest blogger for Mrs. Miner's super site! I've been a fan of Kindergarten Monkey Business since the start! Even though I teach second grade, I've found the fantastic resources here to be such a benefit to my practice. She shares great ideas on her site and on her Pinterest site (my newest addiction). She even inspired me to start my Kindergarten board on Pinterest. Interactive Fun with Web 2.0 - SMART Board Games! No matter the grade level, children love games! - especially SMART Board games! Don't worry if you don't have an interactive white board though... you can still use these fun sites with your students. 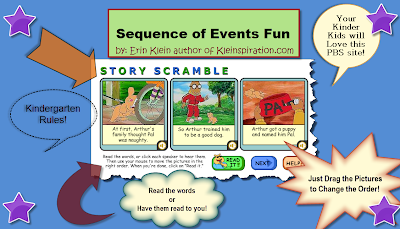 Story Scramble, as shown in the picture above, is a fun game for children to practice sequencing online. I love this site for several reasons: it's from PBS - so there are no ads, it's safe and typically not blocked by firewalls, it's engaging, and the academic benefit is of great quality! You can pull up Story Scramble with just your projector and computer. I've bought a wireless mouse and let the children pass it around to take turns playing games (*you have to be sure to get one that has a long range: click here). This works wonders. It also serves as a classroom management tool. Students pass the mouse to a friend who is sitting quietly and participating in the game with their dry erase board (or by following along - depends on the game). Have your desktop up and running so that students can interact with the content while you work with other groups who may need more explicit instruction. I send my weekly newsletter out in an electronic format via email to all of my parents. I use to send out a paper version; however, in effort to save cost and be more environmentally friendly, I just send out the email. If there were a parent who prefered or needed a paper copy, I would print one and send it home. I create my document in PowerPoint and simply attach it in a brief email. My email is very short... it pretty much states, "Dear Parents, Please see the attached file. Thank you, Mrs. Klein." I am always sure to include links for support/enrichment - the Story Scramble link would be one I included when sequencing was our focus. Parents love the resources - it saves them time and it supports the exact skill their child is working on in class. Cool Tip: I also send out 'text reminders' to parents letting them know of the new newsletter or spelling words or upcoming events... you should check out Remind101 - it rocks! 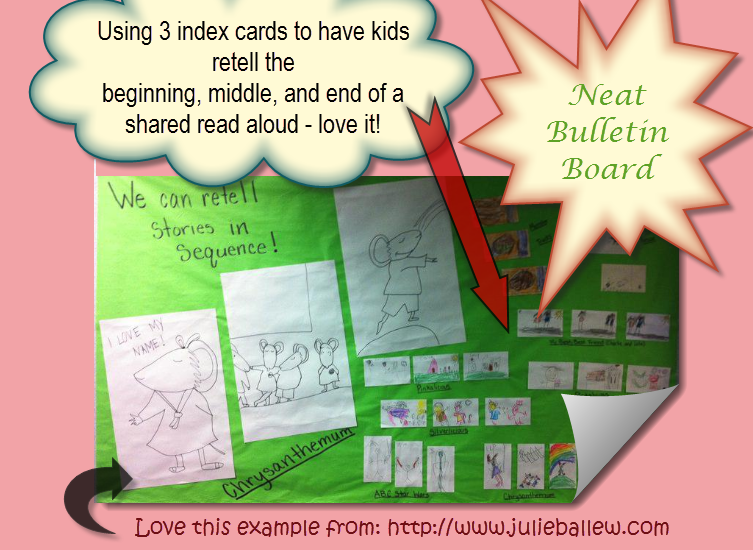 Of course, on Pinterest, I ran across a fabulous resource housing several bulletin board and anchor chart examples. I love these special goodies! This specific example would be a great way to launch your study of sequencing of events. Personally, I enjoy ideas that are quick & easy! I appreciate this example because it's an idea you could take into your class tomorrow. Simply give each child 3 index cards and have them sketch and write about the beginning, middle, and end of a shared read aloud. You can scaffold this activity later by having children do this with their independent selection. I must admit - I also like it because it's different from the typical 'train cars' organizers. Though these are a great visual, I think variety is good, too. That's why I'm including a freebie for you. I often like to 'cement' student's learning with something they can relate to before we dive into a topic or discussion. I use popular movies as a frame of reference for kids to begin discussing the order of events. This creates a nice, rich dialogue with several examples that each child can relate to. They love using the graphic organizer and then sharing their ideas and movie choice with their friends. Then, we move towards shared read alouds, book talks, and finally independent selections. A big shout out Thanks! to Mrs. Miner for letting me be a guest on her blog. 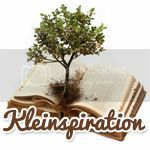 I hope to connect with you via my blog, Kleinspiration, too - it would be great to see new faces as followers! A HUGE thanks to Erin Klein for agreeing to guest blog here at Mrs. Miner's Monkey Business! Awesome links and information--thank you, Erin!